Marcos Baghdatis beat Marinko Matosevic 6-4 6-3 in the Aegon Trophy final to win his first singles title since 2010. The former Wimbledon semi-finalist and world number eight did not drop a set in his first tournament back after an eight-week injury absence. Baghdatis has seen his ranking plummet in recent years and is currently number 132 in the world. Meanwhile, Kristyna Pliskova won the women's singles title on Saturday with a 6-2 3-6 6-3 win over Zarina Diyas. The tournament in Nottingham is the first of back-to-back men's ATP and women's ITF events, and traditionally marks the start of the grass-court season and build-up to Wimbledon. The Aegon Nottingham Challenge commences on Monday. 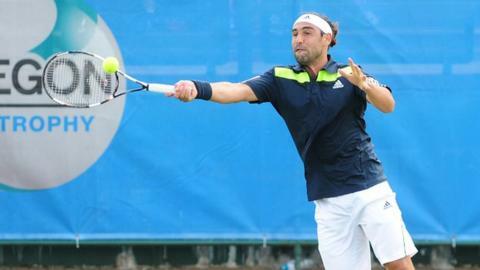 Baghdatis is next in action as a wildcard at Queen's, where he takes on America's Bradley Klahn in his first match. Matosevic, who lost to Andy Murray in the second round of the French Open last week, also moves onto Queen's, where he faces ninth seed Marin Cilic in the opening round.